I received The Art of Princess and the Frog in the mail today (Christmas $!) and it's incredible. Virtually every piece of art in the book is digital (save for a little graphite here and there on character sketches), and that's okay. 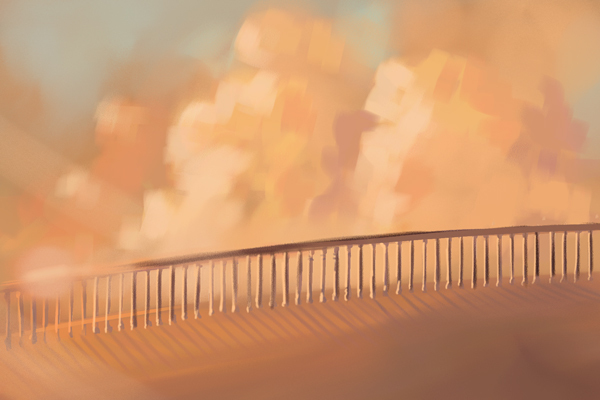 The stuff is so gorgeous, and a lot of the beauty in the simpler pieces has to do with how they manipulated the pieces to make them look like traditional media. They're just that good. 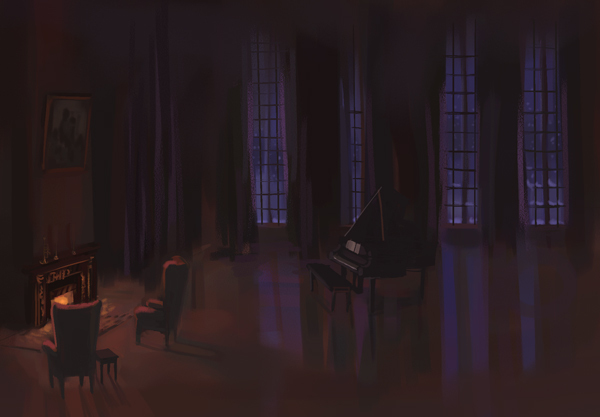 Ballroom/music room of Quent's mansion. 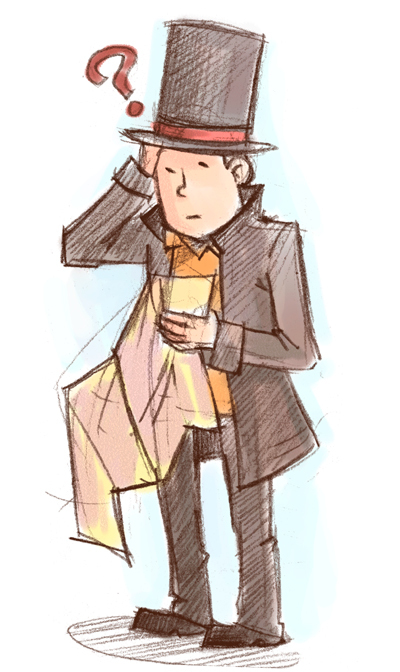 Also, doodle of Professor Layton. My little sister got "Professor Layton and the Diabolical Box" for Christmas and is so kind as to let me borrow it : ).